Easy Lock, developed by Peter Tao (biochemistry and molecular biology) and Mike Keegan (computer science), was awarded $3,000 by the judges. Its premise is replacing keys to cars, homes or offices with facial recognition software. 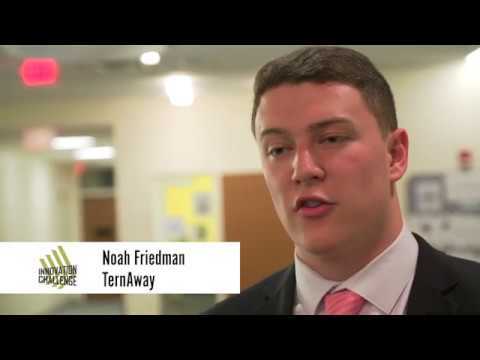 TernAway, created by Austin Rohlfing (actuarial mathematics), Paul Maurais (computer science), Noah Friedman (finance) and Sepehr Sokhanvar (computer science) was awarded $3,000 by the judges. TernAway.com is an online travel bank that matches customers a percentage of their savings towards travel. Anatres Micro, developed by Tariq Ahmad (PhD in computer Engineering (Antares Micro) graduated from ECE (Electrical and Computer Engineering) department, UMass) and Maria Afzal (M. Ed. student) was awarded $4,000 by the judges. Its premise includes securing software, hardware and IoT by ProActive, an application that monitors security of the underlying software or hardware. eBiologics, pitched by Alexander Smith (PhD student, biomedical engineering), was awarded $5,000 by the judges. Its premise is focused on providing early detection of chronic diseases, such as Alzheimer’s and Parkinson’s, using a skin sensor patch that monitors biomarkers in your sweat.